The Wilde Automotive Group stocks a variety of Used Honda CR-Vs at all of our dealerships. We price our used Honda CR-Vs below market price, and we are more than willing to match or beat our competitors pricing. Serving the greater Milwaukee and Madison, WI area for over 70 years, we are committed to our communities, and providing exceptional customer service in every step of the car-buying process. If you can’t find the perfect used Honda CR-V here, feel free to call any of our dealerships , as we’re always receiving new inventory, and may have gotten the perfect car for you this morning! Wilde East Towne Honda Spring Sales Event! 2013 Honda CR-V LX Clean CARFAX. AWD, Backup Camera, USB/AUX Input, Top Rated In Class, Local Trade-in, ***One of the best valued vehicles around***, AWD. 22/30 City/Highway MPG Awards: * JD Power Initial Quality Study * 2013 KBB.com Brand Image Awards 2016 Kelley Blue Book Brand Image Awards are based on the Brand Watch(tm) study from Kelley Blue Book Market Intelligence. Award calculated among non-luxury shoppers. For more information, visit www.kbb.com. Kelley Blue Book is a registered trademark of Kelley Blue Book Co., Inc. Reviews: * If you're looking for simple, dependable transportation in a vehicle that can handle snow and mud as efficiently as it does a day of cruising yard sales, the 2013 Honda CR-V is an excellent choice. Need more reasons? There's good fuel economy, a reasonable price and lots of standard equipment. Source: KBB.com * Lots of room for passengers and cargo; high fuel economy; user-friendly controls; ample tech and family-friendly features; top crash test scores. Source: Edmunds Stop out to Wilde East Towne Honda to experience a higher level of customer service. Exceptional care that has helped us earn Honda&#39;s highest level of achievement, the Honda President’s Award. We have won this honor each year since opening. Our customer&#39;s survey and reviews helped us be recognized as the Wisconsin DealerRater.com Dealer of the Year. Also achieved consistently since 2014! Our family friendly staff look forward to serving all your automotive needs. You&#39;ll appreciate the fair prices and great service. Your family will love free popcorn at the Power Bar and finding the Star Fish in the huge aquarium. Located on Madison’s East Side, we are just 2 miles South of Sun Prairie off Hwy 151/90/94. Some vehicles may be subject to manufacturer safety recalls that, for various reasons, may not be repaired prior to sale. You may also check for open recalls at www.safercar.gov. Wilde East Towne Honda Spring Sales Event! Recent Arrival! 2014 Honda CR-V EX-L Clean CARFAX. AWD, Leather Heated Seats, SUNROOF, Bluetooth, Backup Camera, USB/AUX Input, Top Rated In Class, Alloy Wheels, Local Trade-in, Cruise Control, AWD. 22/30 City/Highway MPG Awards: * 2014 KBB.com Brand Image Awards 2016 Kelley Blue Book Brand Image Awards are based on the Brand Watch(tm) study from Kelley Blue Book Market Intelligence. Award calculated among non-luxury shoppers. For more information, visit www.kbb.com. Kelley Blue Book is a registered trademark of Kelley Blue Book Co., Inc. Reviews: * Abundant passenger and cargo room; good fuel economy; user-friendly controls; ample standard tech features; strong crash test scores. Source: Edmunds * The 2014 Honda CR-V is as comfortable mushing through unplowed streets as it is circling the flea market ready to haul home some vintage antiques. Excellent fuel economy, a very reasonable price, and a near flawless repair record should seal the deal. Source: KBB.com * The 2014 Honda CR-V has a modern aerodynamic look, with sweeping lines, exciting body sculpting, and a dramatic profile. It has enough attitude and ability to get you around town and then tackle the open road and the great outdoors. The CR-V comes equipped with a 2.4-Liter i-VTEC 4-Cylinder engine with 185 Horsepower and a 5-Speed Automatic Transmission. It has a rigid unit-body structure, coupled with taut suspension tuning, which give it impressive handling characteristics. For ultimate 4-season security, the 2014 CR-V is available with Honda's Real Time All-Wheel Drive with Intelligent Control System that smoothes out initial acceleration and can transfer up to 100 percent of torque to the rear wheels if necessary. The CR-V is very fuel-efficient and can get up to an EPA estimated 31 MPG Highway when in two-wheel drive. Hit the green ECON button, and the vehicle makes adjustments to its systems so they can be more efficient. Then you get feedback as you drive from Eco Assist to let you know how efficient your driving is. Honda has placed bars around the speedometer, and the longer you keep them in the green, the farther you can go on a tank of gas. The 5-passenger CR-V remains modestly sized on the outside, but is extremely roomy inside, with a rear seat that accommodates adults and a proper-sized cargo area. Special attention is paid to driver comfort, with supportive front seats that flank an accommodating center console punctuated by two big cup holders. A large covered center stow bin houses USB and auxiliary inputs as well as a 12-volt power point. Finally, its large single-piece liftgate, coupled with a significantly lower lift-over height, eases loading and unloading chores. Check out the 2014 Honda CR-V Today! Source: The Manufacturer Summary Stop out to Wilde East Towne Honda to experience a higher level of customer service. Exceptional care that has helped us earn Honda&#39;s highest level of achievement, the Honda President’s Award. We have won this honor each year since opening. Our customer&#39;s survey and reviews helped us be recognized as the Wisconsin DealerRater.com Dealer of the Year. Also achieved consistently since 2014! Our family friendly staff look forward to serving all your automotive needs. You&#39;ll appreciate the fair prices and great service. Your family will love free popcorn at the Power Bar and finding the Star Fish in the huge aquarium. Located on Madison’s East Side, we are just 2 miles South of Sun Prairie off Hwy 151/90/94. Some vehicles may be subject to manufacturer safety recalls that, for various reasons, may not be repaired prior to sale. You may also check for open recalls at www.safercar.gov. Wilde East Towne Honda Spring Sales Event! Recent Arrival! 2014 Honda CR-V EX-L Clean CARFAX. AWD, Leather Heated Seats, SUNROOF, Bluetooth, Backup Camera, Top Rated In Class, Local Trade-in, ***One of the best valued vehicles around***, AWD. 22/30 City/Highway MPG Awards: * 2014 KBB.com Brand Image Awards 2016 Kelley Blue Book Brand Image Awards are based on the Brand Watch(tm) study from Kelley Blue Book Market Intelligence. Award calculated among non-luxury shoppers. For more information, visit www.kbb.com. Kelley Blue Book is a registered trademark of Kelley Blue Book Co., Inc. Reviews: * Abundant passenger and cargo room; good fuel economy; user-friendly controls; ample standard tech features; strong crash test scores. Source: Edmunds * The 2014 Honda CR-V is as comfortable mushing through unplowed streets as it is circling the flea market ready to haul home some vintage antiques. Excellent fuel economy, a very reasonable price, and a near flawless repair record should seal the deal. Source: KBB.com * The 2014 Honda CR-V has a modern aerodynamic look, with sweeping lines, exciting body sculpting, and a dramatic profile. It has enough attitude and ability to get you around town and then tackle the open road and the great outdoors. The CR-V comes equipped with a 2.4-Liter i-VTEC 4-Cylinder engine with 185 Horsepower and a 5-Speed Automatic Transmission. It has a rigid unit-body structure, coupled with taut suspension tuning, which give it impressive handling characteristics. For ultimate 4-season security, the 2014 CR-V is available with Honda's Real Time All-Wheel Drive with Intelligent Control System that smoothes out initial acceleration and can transfer up to 100 percent of torque to the rear wheels if necessary. The CR-V is very fuel-efficient and can get up to an EPA estimated 31 MPG Highway when in two-wheel drive. Hit the green ECON button, and the vehicle makes adjustments to its systems so they can be more efficient. Then you get feedback as you drive from Eco Assist to let you know how efficient your driving is. Honda has placed bars around the speedometer, and the longer you keep them in the green, the farther you can go on a tank of gas. The 5-passenger CR-V remains modestly sized on the outside, but is extremely roomy inside, with a rear seat that accommodates adults and a proper-sized cargo area. Special attention is paid to driver comfort, with supportive front seats that flank an accommodating center console punctuated by two big cup holders. A large covered center stow bin houses USB and auxiliary inputs as well as a 12-volt power point. Finally, its large single-piece liftgate, coupled with a significantly lower lift-over height, eases loading and unloading chores. Check out the 2014 Honda CR-V Today! 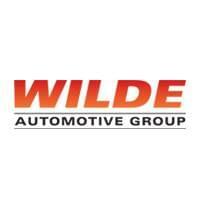 Source: The Manufacturer Summary Stop out to Wilde East Towne Honda to experience a higher level of customer service. Exceptional care that has helped us earn Honda&#39;s highest level of achievement, the Honda President’s Award. We have won this honor each year since opening. Our customer&#39;s survey and reviews helped us be recognized as the Wisconsin DealerRater.com Dealer of the Year. Also achieved consistently since 2014! Our family friendly staff look forward to serving all your automotive needs. You&#39;ll appreciate the fair prices and great service. Your family will love free popcorn at the Power Bar and finding the Star Fish in the huge aquarium. Located on Madison’s East Side, we are just 2 miles South of Sun Prairie off Hwy 151/90/94. Some vehicles may be subject to manufacturer safety recalls that, for various reasons, may not be repaired prior to sale. You may also check for open recalls at www.safercar.gov.